As being one of the top audit firms in UAE , SGY Chartered Accountants provides quality audit,assurance and related services, designed to deliver real value and confidence to the consumers.We provide comprehensive audit tailored to meet the different industry needs and our commitment is to deliver high quality services. Our highly professional services in this segment includes:Audit of the financial statements, IFRS reporting, Review of the financial statements, Compilation of the financial statements & Agreed upon procedures. 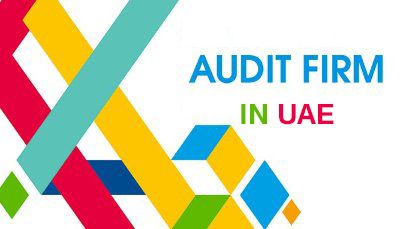 Our highly qualified team of Approved audit firms in UAE is the best possible result for all your searches for good Auditors in UAE. Our team is comprised of skilled Approved Auditors in DMCC, who make sure that your accounting is lighter and stress free! Our team of expert audit firms in UAE , are well equipped to bring about constructive solutions for maximizing your company’s profitability.As we have several years of experience in accounting and auditing services , our audit firms in UAE is quite equipped with the most professional,trusted & advanced services in the area of financial sector. We conduct an intensive examination of your company’s records and systems for the highest level of assurance. We also provide excellent assistance in preparing your financial statements according to the industry norms. We do not express any other interest or opinion in the data you have provide us unless you ask us to do so. Our well composed and highlighted financial statements can be a very essential tool for making valuable financial decisions. Review: Review includes a few general procedures on analytics with a limited assurance. Compilation: We provide excellent compilation services that are best for internal use, based on the information provided by you.